A great set of images hit my inbox earlier today. 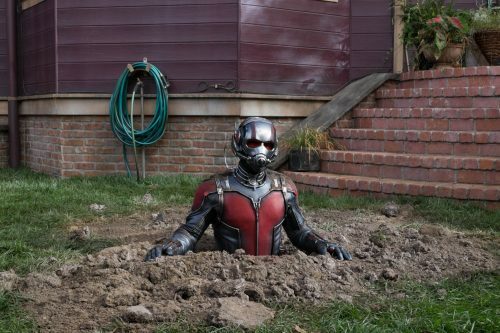 this time for the smallest of super-heroes, Ant-Man. It’s a nice mix of images, from the huge size of our hero to the baddies via the machine that did everything to Scott Lang to make him the man he became. Will Scott live upto his new role or just go back to a life of crime? Well, it seems the answer, if you believe the synopsis, is sort of. He does go on a crime spree but not to help him but to help the World!